Welcome dear friend to the non-physical Julia deVille moving picture archive, suspended for your convenience in the world wide webs! Das Platforms interview with Julia deVille at her installation 'PHANTASMAGORIA' for the 2014 Adelaide Biennial: DARK HEART. 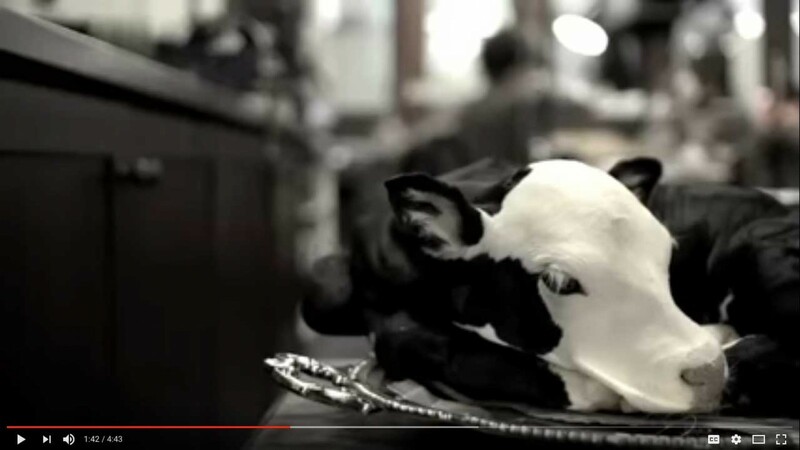 A short documentary about works created in 2012 by Julia deVille for Melbourne contemporary jewellery gallery, e.g.etal. Journey into the imagination of Julia deVille, through her acclaimed 2014 exhibition, PHANTASMAGORIA. 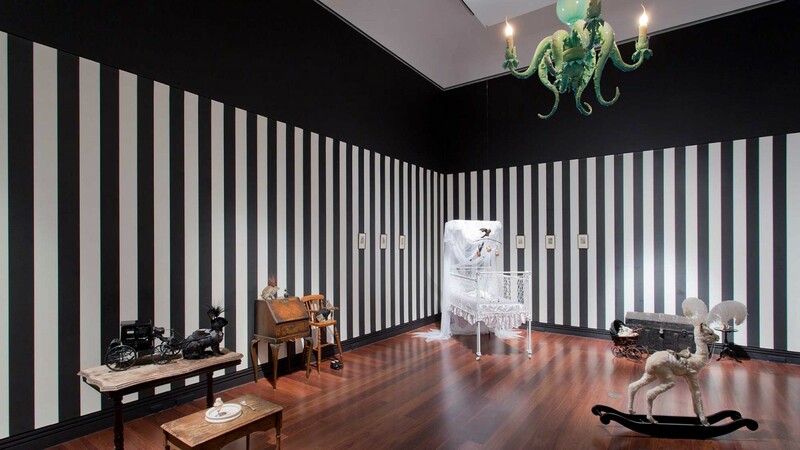 National Gallery of Victoria interview with Julia deVille (in her studio) discussing her 'Degustation' installation for Melbourne Now (2013-2104). 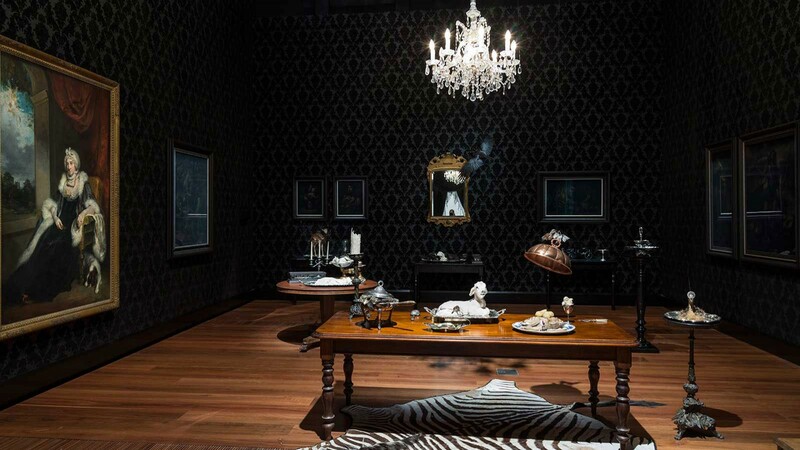 For the National Gallery of Victoria’s Melbourne Now, deVille created an immersive Victorian inspired dining room. 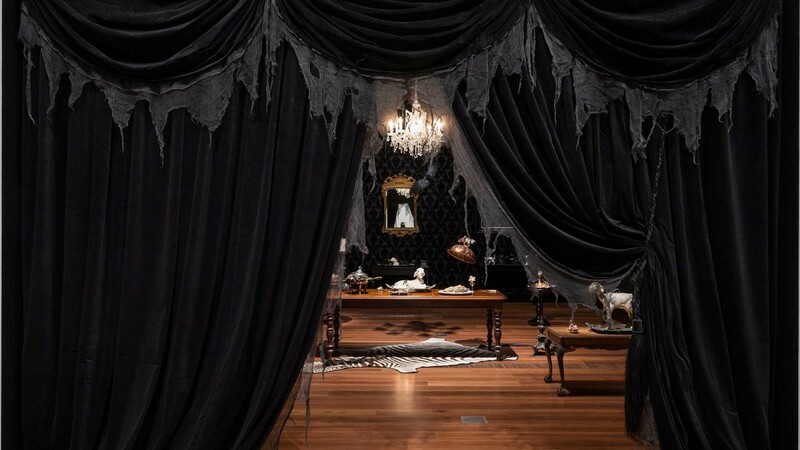 Black velvet flocked wallpaper, black velvet curtains and paintings from the NGV’s collection hung on the walls. 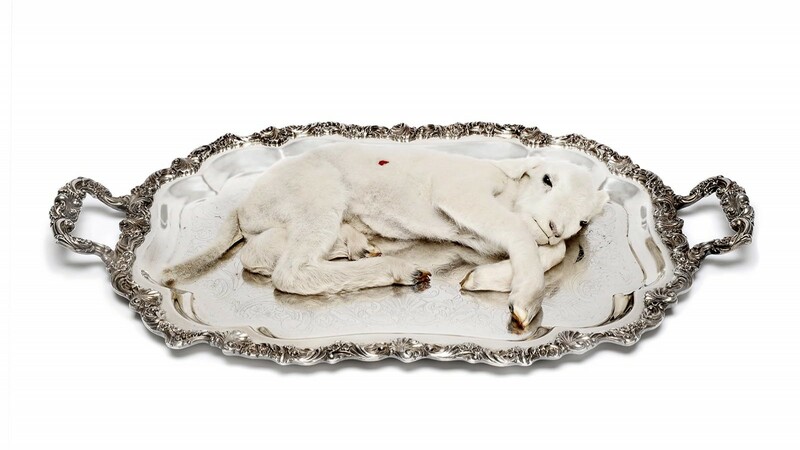 On display were her food themed taxidermy sculptures on antique dining tables, including taxidermy lambs on silver platters with ruby wounds, a kitten in a copper saucepan and a fawn on a china platter. 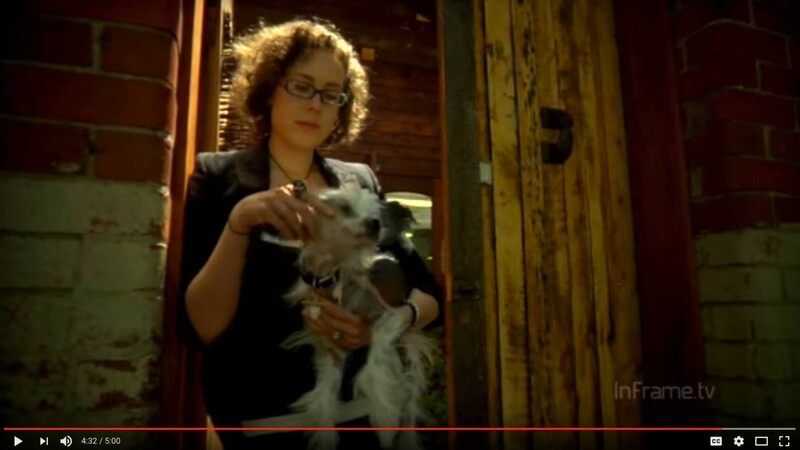 A studio visit with Julia deVille where she discusses her taxidermy work. 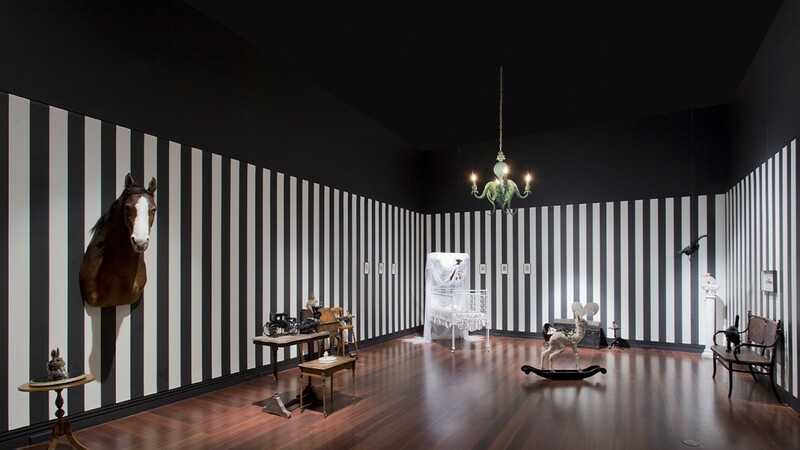 A video tour of Julia deVille's installation 'PHANTASMAGORIA' for the 2014 Adelaide Biennial: DARK HEART. 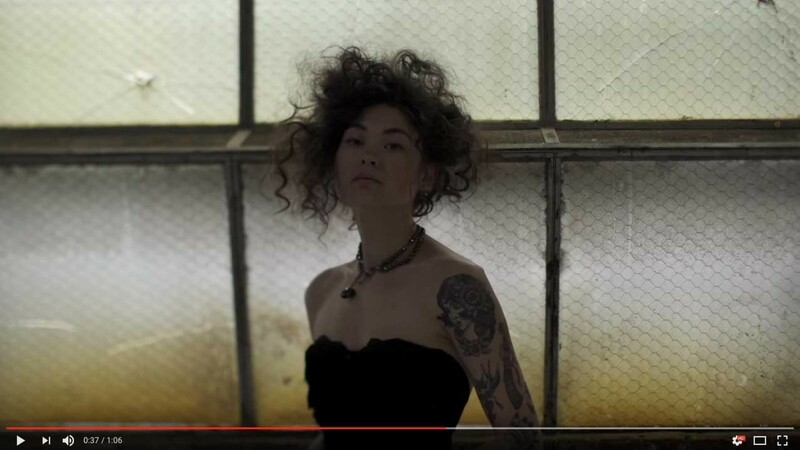 A short film featuring jewellery by Julia deVille. Jane Hutcheon interviews Julia deVille for ABC Breakfast News. 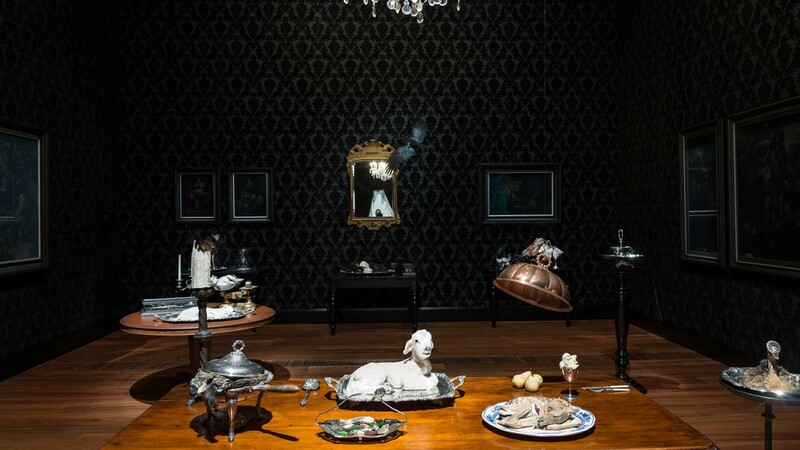 A short film focussing on Julia deVille's 'Degustation' installation, part of Melbourne Now at the National Gallery of Victoria in 2013. 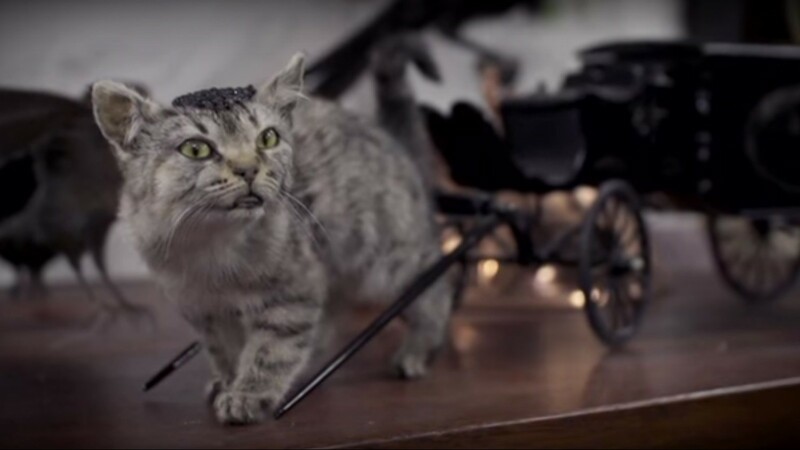 Julia deVille is a jeweller and taxidermist whose work celebrates death through adornment. Combining traditional gold and silversmithing techniques with a talent for taxidermy, her works celebrate the material realities of the natural world. Much of her work puts a modern twist on the Memento Mori (remember you must die) jewellery that became fashionable in the post-plague Europe of the 1600s. She also employs symbols of mourning, using materials like Jet, a petrified wood popularised by Queen Victoria after the death of her consort in 1861. Julia has grouped her practices under the banner Disce Mori (learn to die), indicating her conscientious exploration of the visual language of death. 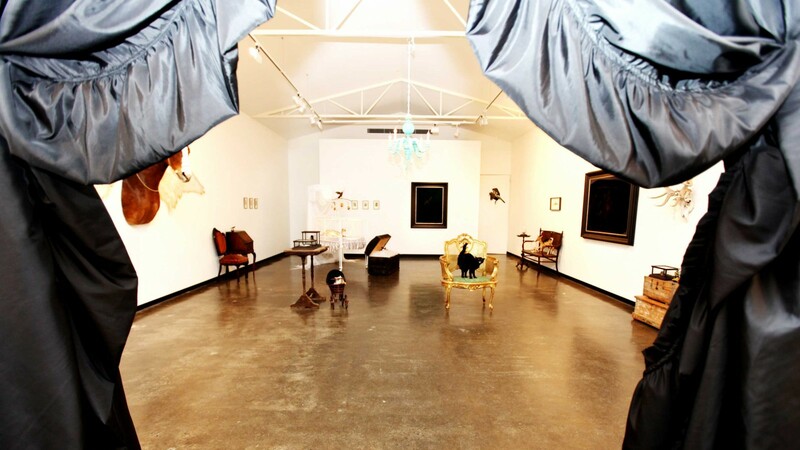 As a vegetarian and animal rights advocate, deVille has considered the ethics of animal preservation and exhibition. She’s even planning to put herself in their position, agreeing to donate her body to Gunther von Hagen’s Institute of Plastination after her death. 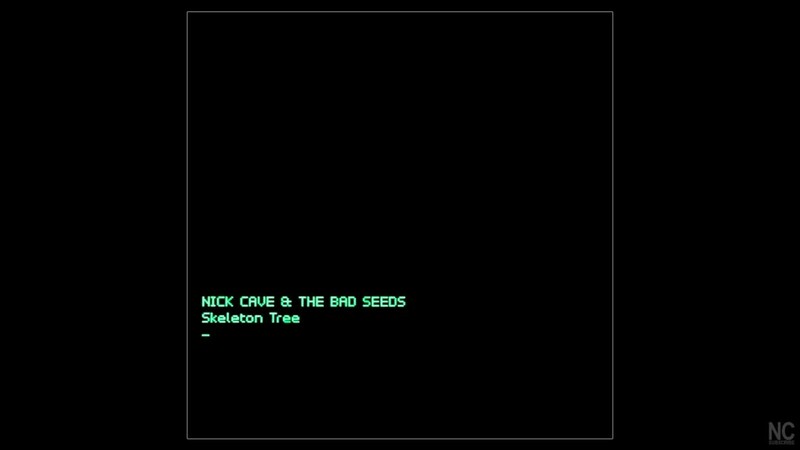 Listen to this little piece of alchemy, voted by JdV as the only perfect thing in the known universe! National Gallery of Victoria interview with Julia deVille (at the gallery) discussing her 'Degustation' installation for the Melbourne Now exhibition (2013-2104). 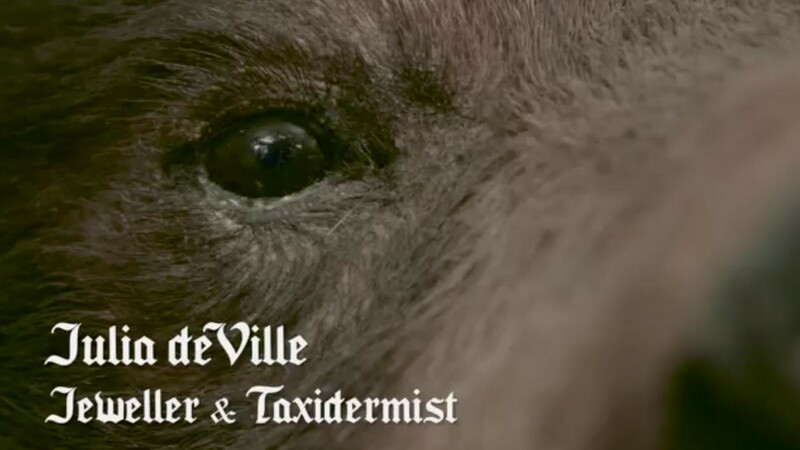 Unique jeweller/taxidermist Julia deVille talks Amateur Hour through her early days, ethics, inspirations and processes. 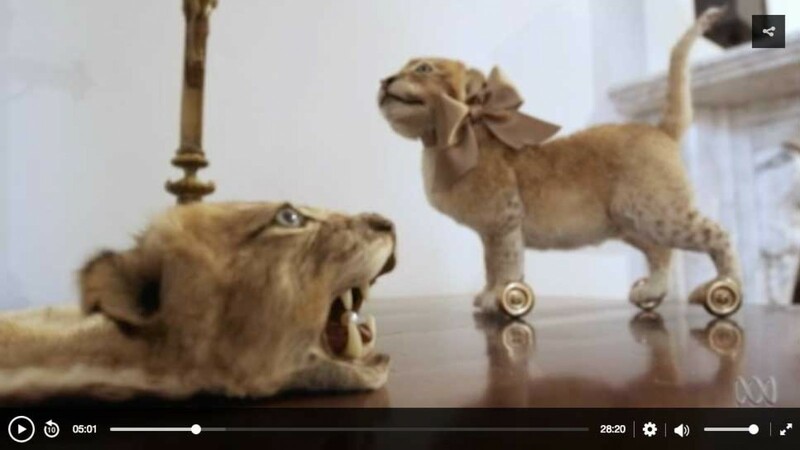 A National Gallery of Victoria documentary for younger viewers. 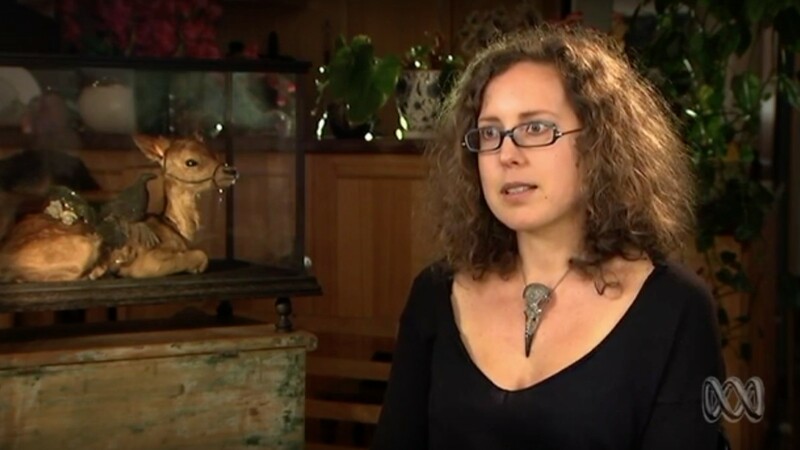 Julia deVille discusses the process of taxidermy in the lead up to her 'Degustation' installation, part of the 'Melbourne Now' exhibition in 2013.